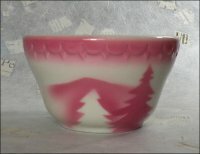 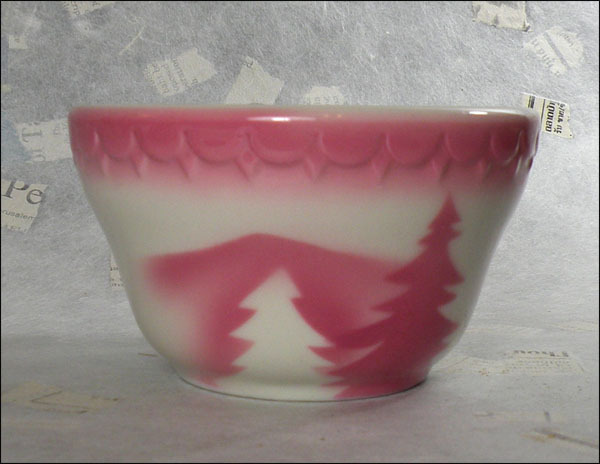 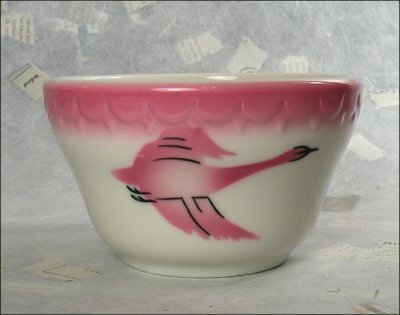 This bouillon cup in the beautiful, pink, airbrushed Traveler pattern is in excellent condition. 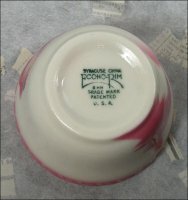 All I could find in the way of wear is one tiny rub or scratch on the goose’s wing, as shown in photos. 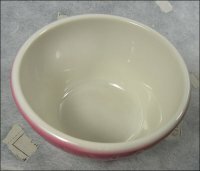 The bowl is about 3 ¾” wide by 2 ¼” high. 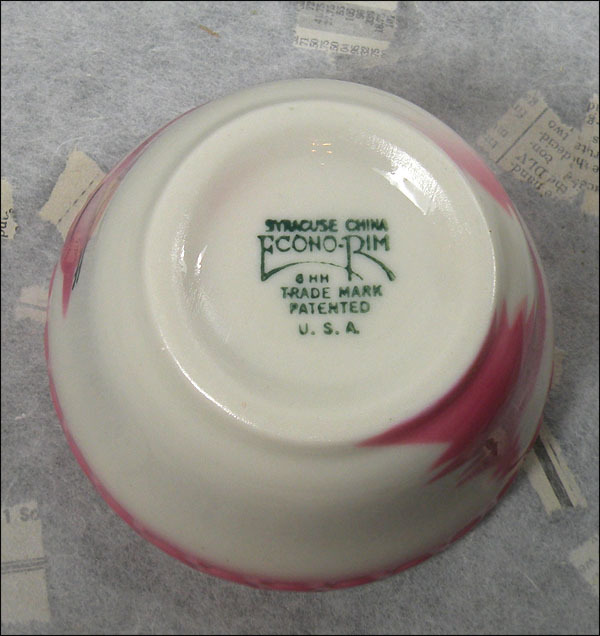 It was made by Syracuse China.